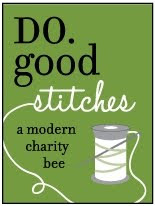 If you have been following me for awhile, you probably have noticed that I've been on a serious mission to sew my stash only. 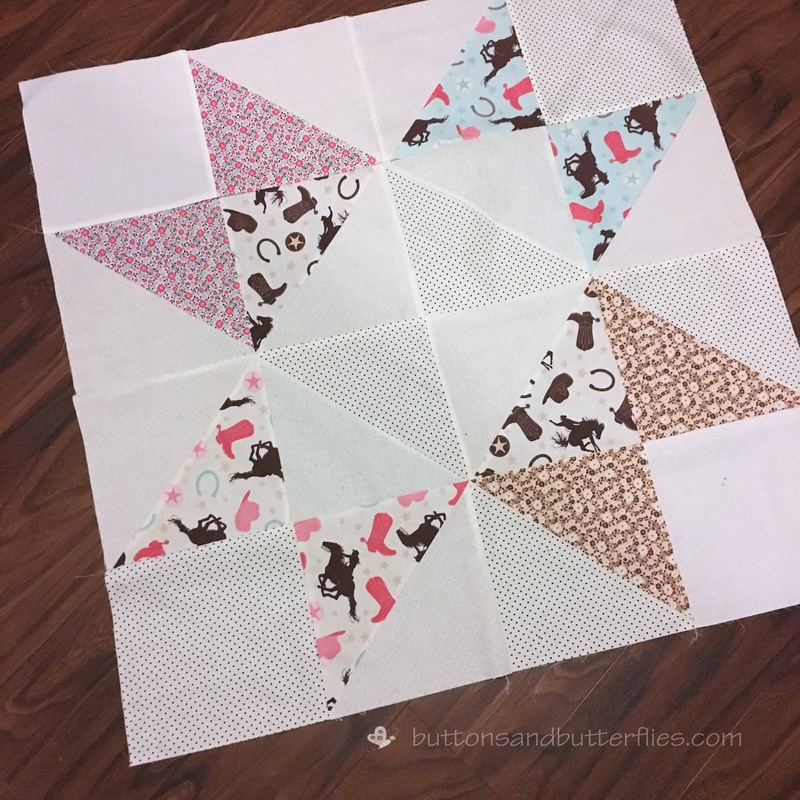 But every once in awhile, I get asked to use a new line and I can't resist saying no when sites like Fat Quarter Shop ask me to use fabric to make one of their patterns. Sometimes, the patterns don't use up all the fabric and it just gets tossed on my shelf. But this year? I've been trying to use leftovers to make something. Another quilt, a pillow cover. You name it. But my ultimate goal to use it right away if I can so it doesn't clutter up my shelves. 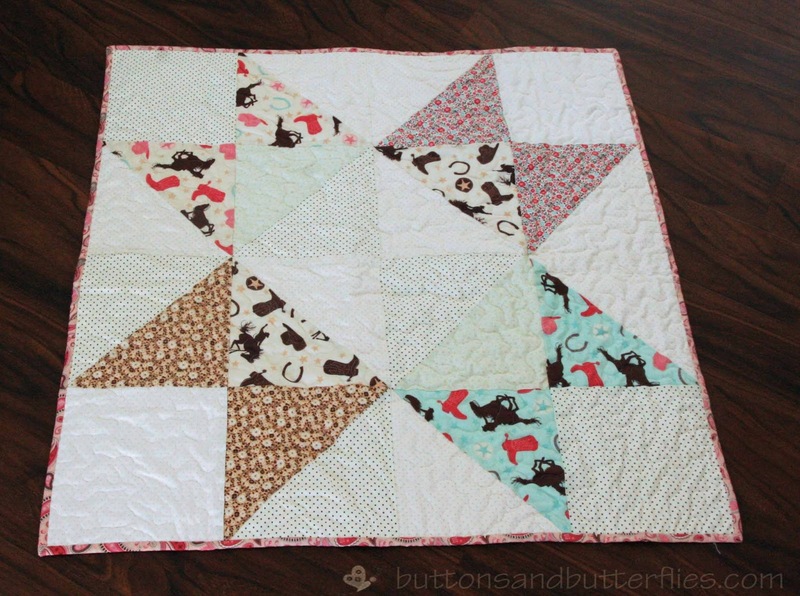 Enter in, my Baby Star quilt. 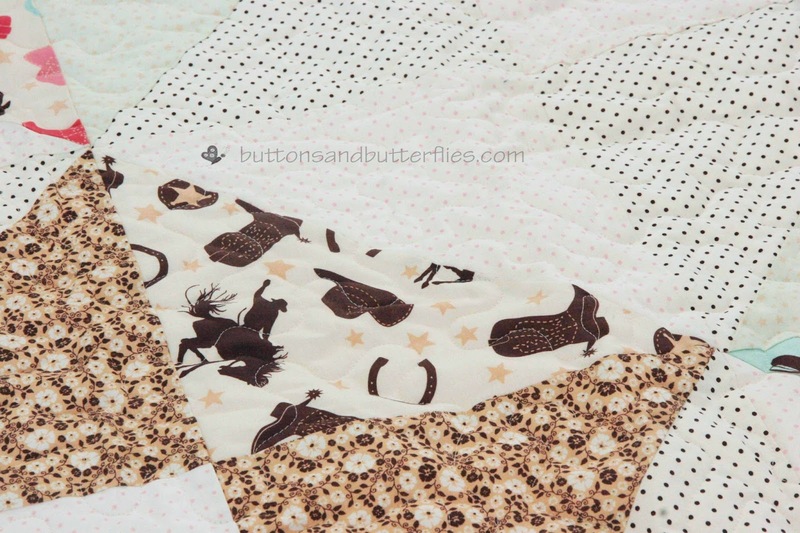 I had some leftover fabric from the two Rodeo Rider quilts. A giant star occurred to me. 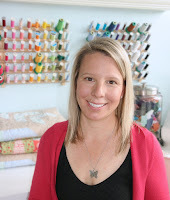 I also found a great tutorial from Amy Smart at Diary of a Quilter if you need one! 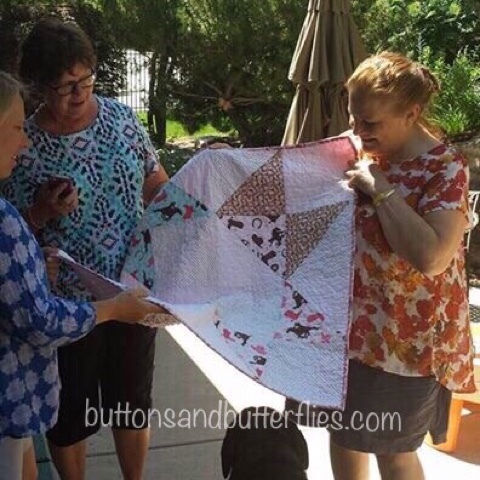 If I had my choice I would have it bright, but sometimes the not so bright scraps are all you have to work with.It came together very quickly and I quilted it the same time as the other two. 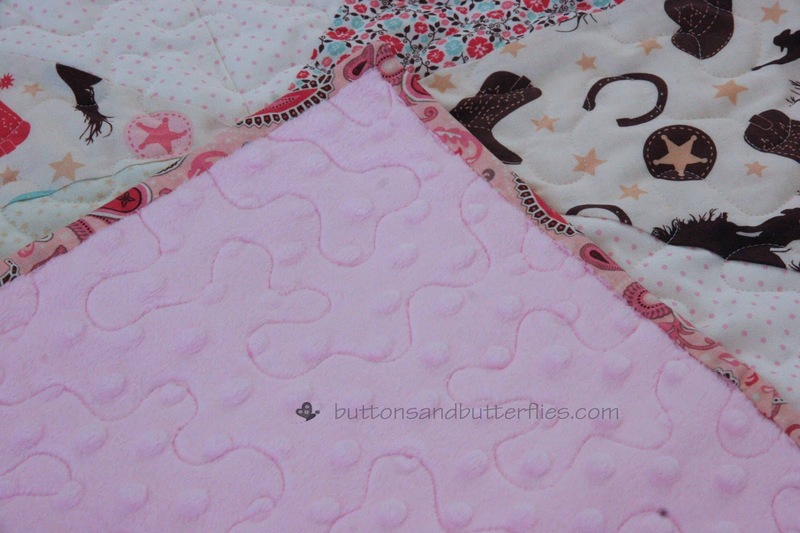 Since the fabrics weren't very bright, I chose some leftover pale pink minky dot for the back. 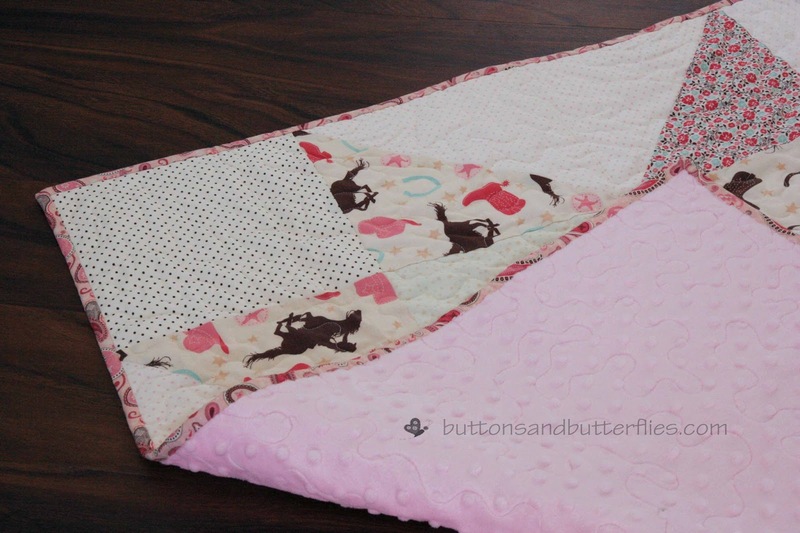 For baby quilts, I like to keep the quilting simple. I just adore the paisley binding. The best part is that I had put this away for a few months, maybe hoping to sell it. But then a special occasion came up and I was able to gift to a friend that was headed from Texas (ahhhh rodeo country!!!!) to the West Coast to see her first grand baby, a girl. The only regret I have is that I didn't find the time to embroider her name on it.